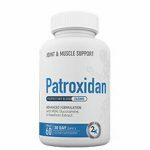 Patroxidan Review : Does It Really Work? Patroxidan is a joint pain supplement intended for both males and females that are dealing with chronic pain. With the use of this product, you may experience pain relief regardless of the type of pain and place where you are feeling it. It can also optimize and maintain joint health and boost mobility and flexibility of your joints, which may benefit your quality of life. It doesn’t deliver immediate pain relief, but rather focuses on supporting joint health in the long run. The product is made in the United States and mostly uses herbal and natural-based compounds. Who Is the Manufacturer of Patroxidan? 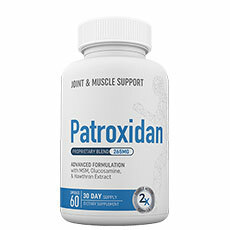 When it comes to Patroxidan, it seems that the company that makes it has the same name as the supplement they are manufacturing. The manufacturer is based in the United States and its main office is in Savannah, Georgia. They also make a pain relief cream called Benoxidol, which aims to eliminate discomfort for those feeling acute or chronic pain. We failed to find additional information regarding the company as it seems that they decided to put the supplement in the spotlight and let it speak for itself. The working process of Patroxidan, just like with any other supplements for joint pain, is based on utilizing the potency of its proprietary blend and the other Ingredients. Glucosamine and MSM are two vital compounds that may deliver the potential benefits of decreasing joint pain and dealing with inflammation. These components are supported with willow bark, hawthorn extract, and other herbal-based Ingredients. Hyaluronic acid may play a part in repairing the tissue around the joints, which may lead to improved mobility and boosted overall joint health. Patroxidan Ingredients – Are They Safe & Effective? The other components are Goldenrod flower, dandelion leaf, grape seed extract, and Boswellia Serrata extract. What Are the Advantages of Patroxidan? What Are the Disadvantages of Patroxidan? Willow Bark may cause stomach upset and digestive system upset. How Should You Take Patroxidan? The company that manufactures Patroxidan recommends taking two capsules per day. For best results, you should consume them before a meal and with a glass of water. Patroxidan may be tested through the trial offer provided on the official website. As for the regular prices, they are also subject to automatic charging and shipping. A monthly supply of Patroxidan, which is a single bottle, costs $59.95. You can also choose options for buying three bottles for $98.95 and five packs for $144.95. What Is Patroxidan’s Return Policy? There is a refund policy active for 30 days from the moment you are charged for the product. However, you need to return an unopened product to be eligible for a refund and you may expect a restocking fee. There is a free trial offered for Patroxidan, but you will need to pay shipping costs of $4.95. You can find more details on the trial on the website. If you are looking for a supplement that will offer support for your joint health in the long run, you can consider Patroxidan. While it can help to fight inflammation and reduce chronic pain, keep in mind that it was not designed for immediate pain relief. It may also assist in repairing your cartilage tissue and improving mobility, but for optimal and unhindered results, you should also stick to a healthy way of life. Ultimately, there is a generous amount of glucosamine and that is one of the reasons why it may boost your long-term joint health. However, it was derived from shellfish, which means that the product is probably not suitable for you if you are allergic to them. In that case, you may want to consider other available alternatives on the market. In fact, that is a good advice anyhow as we believe that you want to choose the best supplement for your particular situation and that can only be done by conducting proper research.